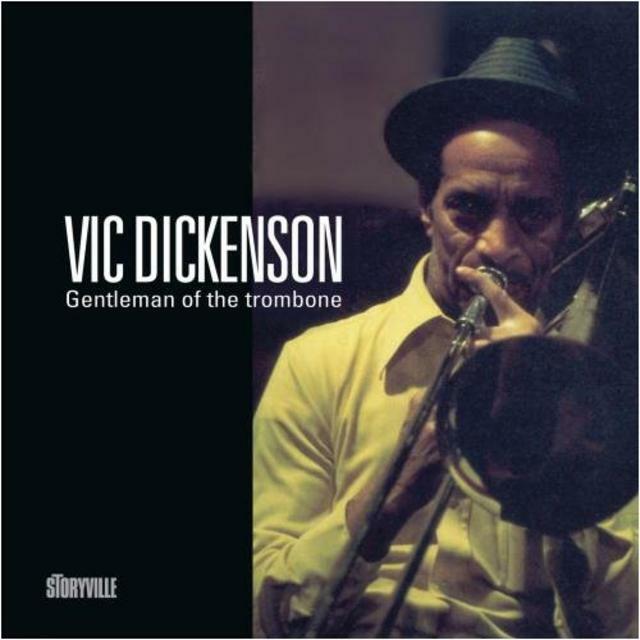 Vic Dickenson was one of the great trombone stylists whose relaxed sound, slurred notes, and impeccable feel invested every solo with a unique warmth never duplicated by anyone else. While he was often recorded as a sideman, he was rarely captured as a leader. This mid-'70s studio session, recorded late in his career, features a mature Dickenson leading a sympathetic rhythm section of pianist Johnny Guarnieri, bassist Bill Pemberton, and drummer Oliver Jackson. The real treasure is the chance to hear the trombonist playing tunes with which he was comfortable and improvising at length. His renditions of "Sweet Sue, Just You," "Christopher Columbus," and "Bye Bye Blackbird" are perfect expositions of his classy way of capturing the essence of a tune. The trombonist sings on a couple of tracks ("Just Too Late" and "More Rain"), but his vocals are more of interest as novelty items for completists. Johnny Guarnieri struts his stuff on "Shine," with a hot solo worthy of the era in which the piece was written.